Chef selected sushi or sashimi of today's catch. "Omakase" is the tasting menu offering the originally created seasonal items of the day. 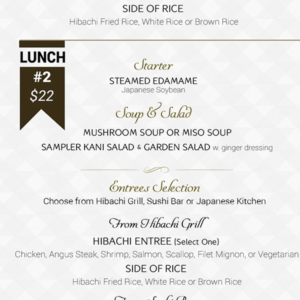 A signature sample of "110 Japan"
Served w. clear soup, green salad, hibachi vegetable & steamed white rice.